In the context of Brexit, the free movement of people has found itself at the top of the political agenda – in parliaments, political movements and trade unions. But the debate has become narrow and negative, and dominated by anti-migrant propaganda. The Alliance for Free Movement exists to break out of the current situation – to champion the right to live, work, study and retire abroad. We want to defend and extend the freedom to move. Migrants have not run down our public services, failed to build proper housing or caused a race to the bottom on wages or conditions. These are the results of political choices made by governments and corporations. 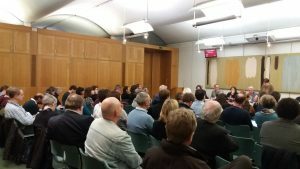 In the coming months, the Alliance for Free Movement will be launching a series of events and campaigns in partnership with a variety of organisations, unions and campaigns. We will work across party lines, and with supporters from a variety of different political viewpoints.